Though I am trained as an RN, this blog is intended to share our personal story, not to give medical advice. Please consult a doctor for any medical advice you may need. My 4-year-old daughter had severe eczema that was totally out of control. Her skin would crack and ooze and redden and swell and itch mercilessly. Her practitioner decided to do a round of allergy testing. Since her skin was so bad, they did the blood test instead of the skin pricks. I didn’t think much of it; they had done this when she was less than a year old and she was allergic to eggs and peanuts (and dog, but we don’t eat much dog), but that was all. 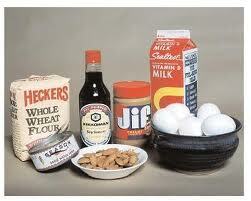 We had gotten used to the egg and peanut allergies. As she started eating table food we adapted her diet to fit her; she kind of grew with it. Well, when this round of tests came back, she was allergic to EVERYTHING food-wise. Her practitioner picked out a very few foods that she thought were safe, and my daughter basically ate those same foods for about a month. To the list of eggs and peanuts to avoid, we added corn, wheat, oats, tree nuts, shellfish, apples, milk, fish, beans, peas, carrots, garlic, spinach, sesame, and soybeans. Oh, and also she had to avoid eating anything containing these foods, any derivative of these foods, and anything processed on the same equipment as these foods. Feeding her was suddenly very tough. At 4 years old, she didn’t understand what was going on and would sometimes sneak foods she wasn’t supposed to have. (Did you ever try to feed a 4-year-old the same 5 things for a month?) We gradually added in one food at a time to see what her reaction would be. About twice a week we would try a food from the forbidden-food list. Sometimes after eating a food she would get really itchy and break out, so I would pull her back off that food and mark it as questionable. Her skin was so volatile that it could be from the food, or it could be some other unknown. Then I would wait several days and try it again. If she reacted twice, I marked it down as a for-real allergy. We determined, after the whole process of elimination was done, that she was truly allergic to eggs, peanuts, tree nuts, shellfish, milk, sesame, and soy: a formidable list, but certainly much better than the original one. 1) False positives abound – Especially if your child has eczema, the results from allergy tests will probably show lots of things they’re allergic to. They are almost assuredly NOT allergic to all these things, but you must be patient and work the process to find out how she reacts to actually eating the food. One day maybe they’ll have a better process, but for now, this is it. Do as we did: find a few things allowable. Then, every 3 or 4 days try a food on the forbidden-foods-list. If the food doesn’t affect them negatively, you’re golden. 2) Become a label reader – Learn what to look for. The Big 8 allergies are: milk, eggs, fish, crustacean shellfish (crab, lobster, shrimp, etc. ), tree nuts (walnuts, almonds, pecans, etc. ), peanuts, wheat, and soybeans. In the US, food companies must declare if a food contains these. However, there are several ways they might do this. 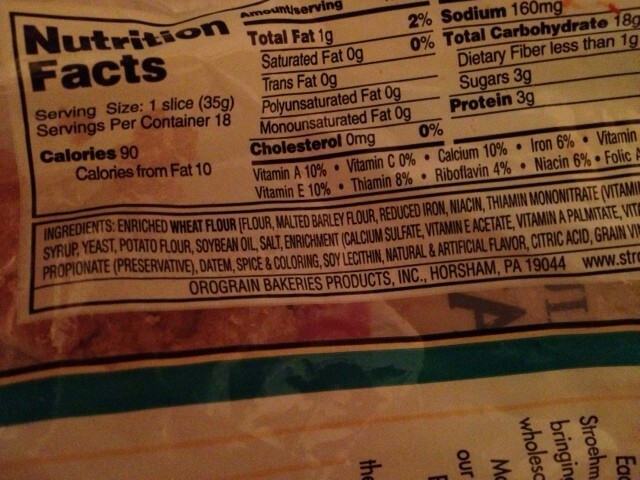 For example, if it contains wheat flour it might just say that in the ingredient list. Some products are wonderful and list it really plain in bold print at the bottom of the list. Some are hidden in a 10-line-long list of ingredients. It’s like extreme hide-and-seek. But they do have to declare it in some way. 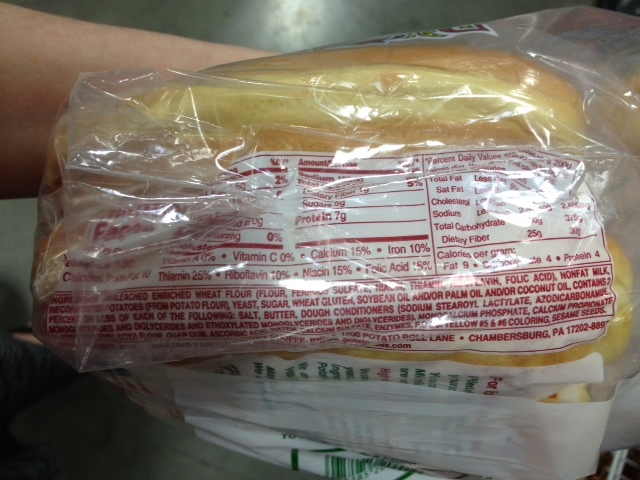 Companies do NOT, however, have to declare if the food was prepared in the same facility as one of these allergens. Even if they did, does that mean that it’s in the same building but ½ block away, or does it mean that the same conveyor belt for the “Peanut Delights” candy is used for the “Unpeanut Delights”. (Sing with me now: Almond Joy’s got nuts. Mounds don’t.) Or it could mean that the same conveyor belt is used, but it’s been several days since a batch of peanuts touched the belt and it’s cleaned thoroughly every day. You can see the problem. It does seem from my experience that name brand products are a little better about declaring things more clearly than generic items. As always, the best things are fresh, homemade, and simple. My daughter actually eats healthier than the rest of us. If you are still confused or want more information, you can go to http://www.fda.gov/food/resourcesforyou/consumers/ucm079311.htm for more. 4) Restaurants – Most people eat out. To not do so at all is quite unreasonable. In the 5 years since we discovered all these allergies, my daughter has never had a reaction from eating at a restaurant. We don’t eat out a lot, but we do go on vacation and have the occasional fast food lunch or birthday celebration at a restaurant. Here’s what I’d advise. Print up some little business cards (Avery labels from Staples work great) that say “My name is Soandso and I am allergic to: …” and list your allergies. 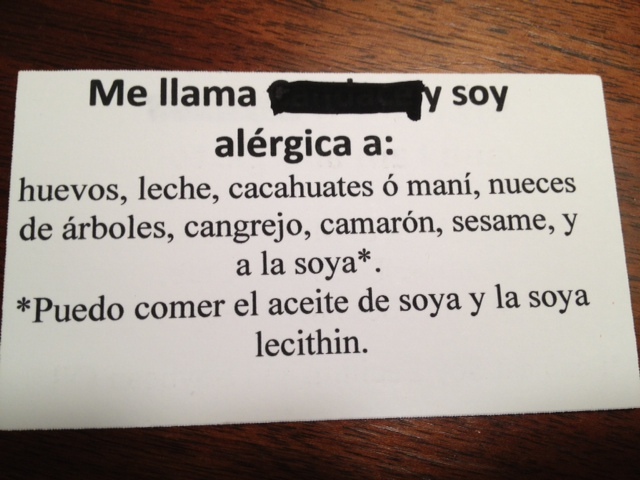 If you live in an area with a lot of hispanic kitchen workers you might want to get it translated into Spanish. When you go out to eat at a sit-down restaurant, pick something from the menu that you think will work for you, or make up something that you think would be doable for them. Order that, give the waiter the card, and then ask them to double-check the ingredients and make sure it doesn’t include anything on your card. We often ask for a grilled chicken breast with no rubs or seasonings with steamed veggies with no butter. Most places will happily comply. (They don’t want a lawsuit or bad publicity, and they do like big tips. If you leave a big tip to a good waiter you can count on good service in the future and have secured yourself a safe place to eat.) As far as fast food or chain restaurants go, they are actually a little easier than one-of-a-kind restaurants. Almost all chains now have websites with allergy information on them. Check ahead of time and pick out a few things that work. I know at McDonald’s my daughter can have a plain hamburger and chicken nuggets; no fries. At Arby’s it’s a roast beef sandwich with no bun (yep, a sandwich with no bun) and curly fries and cherry turnover. (Arby’s often has all their employees change gloves when you tell them you have a food allergy! Yeah!) If we go by Dairy Queen for a treat, she can have an Arctic Blast. Every great once in a while restaurants will change their ingredients, so re-checking is good. I use an app called Allergy Caddy that helps me when it’s a spontaneous on-the-go situation, but they can’t always keep up with changes. If you discover something wrong, notify them and they’ll update their info. Some places are just impossible; I love little hole-in-the-wall mom-and-pop restaurants but they are flat-out dangerous if my daughter is along. The employees of these wonderful little spots often don’t have a clue about what an allergy means. (One time at a little place I ordered “a hamburger, no cheese because my daughter has a milk allergy”. I made it as clear as I could. NO CHEESE! The guy comes out with a burger with a slice of cheese on it. When I said she couldn’t have cheese he just took the slice off and tried to give it back to me. Eye-yi-yi! Scary stuff, right there!) Avoid buffets: you can’t check the ingredients and people switch up the serving spoons all the time. 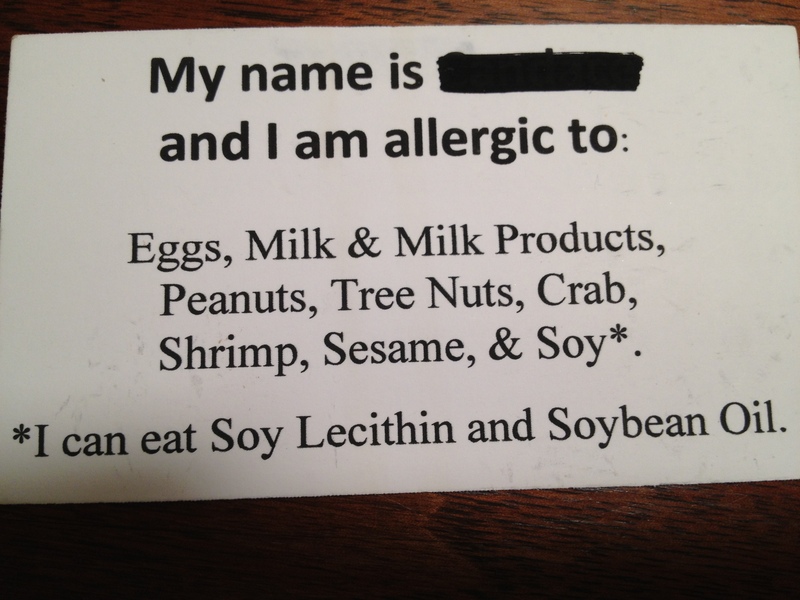 Chinese restaurants are out if you have a peanut, sesame, or soy allergy. 5) People will not fully understand; don’t expect them to – They try, and their intentions are good. Educate if it will do anyone any good. Don’t give anyone a 2 hour lecture about the dangers of peanut clusters or the evils of inaccurate food labeling. Use your noggin in filtering good advice from bad. Be kind. Teach people “Don’t Feed The Bear”, so to speak, and teach your child to check with you before eating anything. An older child can understand, but a little one cannot be expected to “get it”, especially at first. Those closest will have to have a few very basic instructions, but don’t expect them to “get it” either. Somebody has to be the point person who is making decisions and giving orders. 6) You’ll get it – It’s like drinking from a fire hydrant at first. There’s so much information coming at you and so many changes you feel totally overwhelmed. Eventually you will figure out what you’re really allergic to, and you’ll learn to cope with those specific things. 7) There is hope – Many people outgrow their allergies, though not all do. Prepare yourself that you may not outgrow any. Then if you do, it’s an added bonus. My little one just outgrew her soy allergy. Yee-haw! Also, there is extensive research going on for a treatment for these food allergies, and I believe one day we’ll have the cure. Just not yet. For egg and milk allergy, find a health food or natural food store that offers vegan foods. Egg replacer, fake cheese, and even fake ice cream, can all be found there. Just watch out for soy and nuts if those are allergies you also have, because many, even most, of these vegan items have soy and/or nuts. 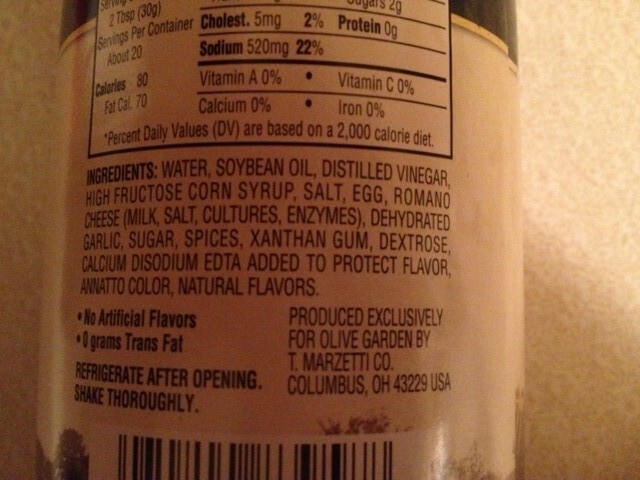 Even with a soy allergy, most people can have soybean oil and soy lecithin, so some things that say “contains soy” at the bottom may actually be perfectly safe. Do a little test by trying soy lecithin and soybean oil (one at a time) to make sure it’s safe for you, and then read the labels more specifically than “contains soy”. 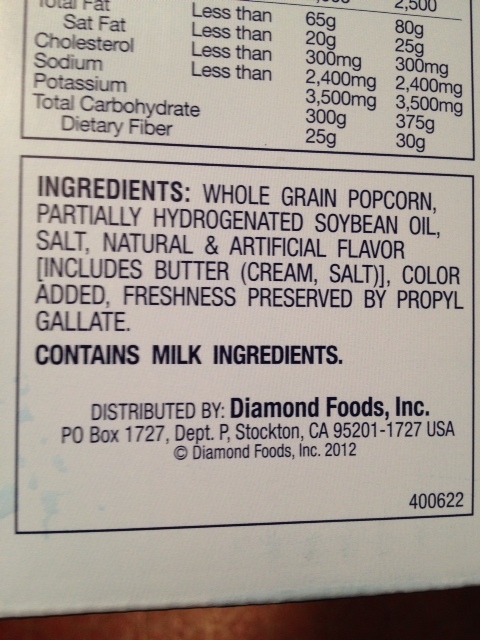 If it’s soy lecithin or soybean oil the label will probably say “contains soy” but you can still eat it. However, be careful because some things have BOTH soy flour and soy lecithin. That’s obviously out. This is one that restaurants do not at all understand. If it has soybean oil or soy lecithin they will say it is unsafe. Ask them to read the actual labels for you, or ask them to bring you the label or make a copy of it. Corn is similar in that many people with corn allergy can eat corn oil and corn syrup. 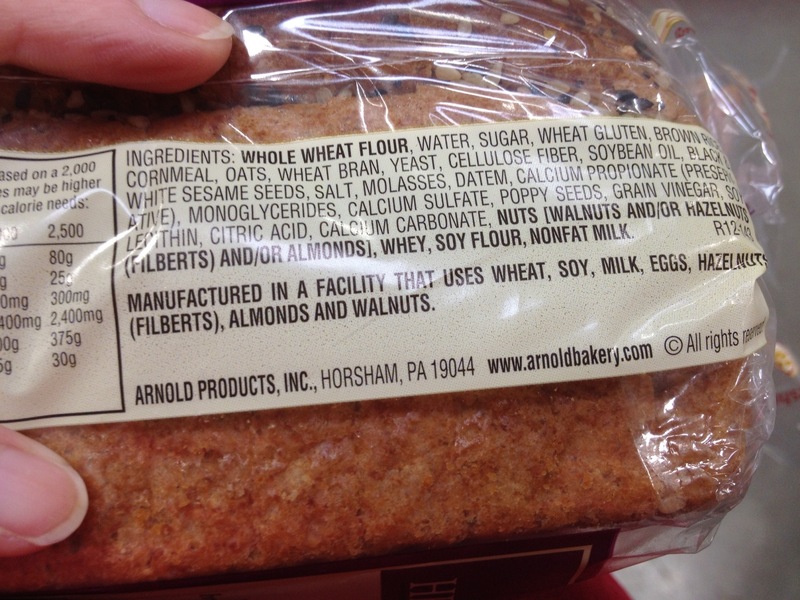 Again, figure out your allergy and your body, and read labels like crazy. 9) No insult intended, but read “Food Allergies For Dummies“. It is an easy-to-understand primer, a wealth of information, and it’s written by a doctor who is allergic to peanuts, so he’s lived the experience. Good luck in your journey. That’s exactly what it is. And though it’s probably not a journey you planned or wanted, it can definitely be managed and it doesn’t have to shut down your life. Thank you, Regina, for sharing this. I have dealt with lots of allergies since I was born. Had to live on goat’s milk for good portion of my young life. Some things I outgrew and most I haven’t, some got worse and I have fought many problems and still do. I keep looking to Jesus for His help and guidance. I have had trouble with my families down the years. I like to make my own food so that I can use a substitute for certain things in the resipe. My husband still has some problems with some of it. Our oldest and youngest daughters were born with a bunch of them–but they have been taught how to handle things. (I had 2 years of nurse training which has been helpful too.) If one of us ends up in a hospital we carry always a list of our most serious allergens and keep praying for our Dear Lord’s help—most now put a band on your arm with a list of them. I almost died when I was young–I had to have some surgery on a cyst on my right ovary that was beginning to turn cancerous and the doctor told the nurse to give me some pain medications to help me sleep and she forced me to take 40 grams of aspirin and the doctors had to work 5 hours to revive me. She almost got fired–I forgave her and she promised not to ever do something like that again. She didn’t believe anyone could be allergic to aspirin. I did sort of like you listed here with myself and the girls too. I still have problems with some things when I need to eat at someone’s home or a resturant when out somewhere. So far I have made it to almost 80 battles and all and turning it over to Jesus for His help and guidance. Thanks a lot for sharing this. I will forward this to Joy, our oldest daughter as her young son has some problems with things too. He is adopted and his full background was not known. She is doing pretty good with things though for him. Blessings, Yvonne..